A muted and mellow style, using High White Impression Board, a water colour board which has a soft mottled surface. This is particularly good for showing off the impression made by the grey lettering printed letterpress and the subtle pattern design.. The standard wedding invitation is printed in yellow and letterpress grey, the grey wording biting into the High White impression board; other colourways are available. 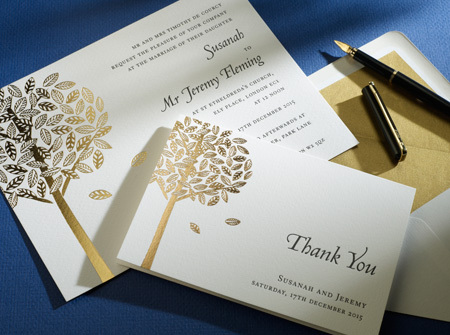 The size is 8 x 6 single, and the cards are supplied with matching (unlined) envelopes. 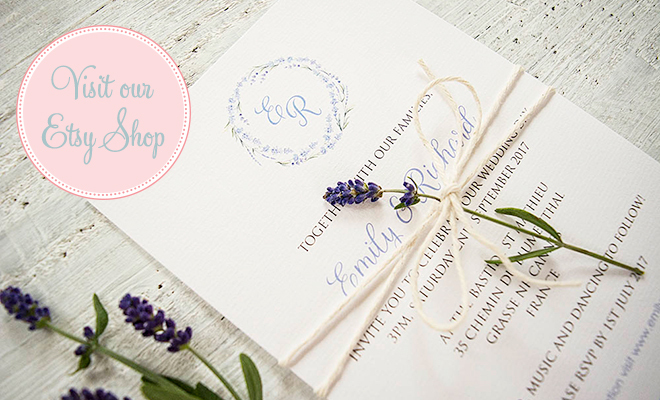 The invitation can be adapted to your preferred style and you have the option to alter: size, ink colour, print style and font, card type, gilt edging, lined envelopes.